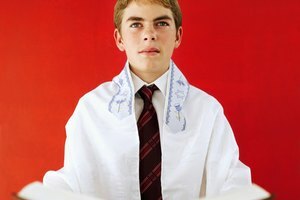 Who Do Jews Believe Wrote the Bible? Group activities will help to cultivate critical discussions. It's never too early to introduce critical reading skills. The trick, however, is to keep the lessons simple and interesting while integrating them into your regular coursework. 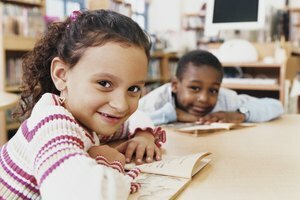 According to Common Core standards, fourth-graders should work to discriminate between firsthand and secondhand accounts of events, and to interpret and make basic predictions about texts, and you can cultivate these qualities by helping them develop an inquisitive attitude toward everything they read. Pass out two different passages that are about the same subject, but make sure one is a primary source of the information and the other is a secondary source. For example, give out a short passage from "The Diary of Anne Frank" as well as an encyclopedia entry about World War II. Afterward, ask them to list some of the characteristics they noticed about each text. For example, they might point out that the diary entry is written in first-person perspective by somebody who was actually present during the event. They might also notice that the diary entry focuses only on what Anne experienced directly, while the encyclopedia entry provides a broad view that was meticulously researched. Explain that one aspect of critical reading is to make predictions about a text, and then to continuously analyze and readjust those thoughts. Pass out magazine articles that deal with a subject your class is studying. Ask students to read only the title, and then write down a few ideas about what they expect to read about in the article. Then, have them read the first paragraph and write down whether or not the article appears to be delivering what they expected, or something different. Have them read the rest of the article and then assess their predictions. Have them write down what they thought they would learn, and what they actually learned, and have them talk about how predicting affected the reading. Critical reading isn't limited to reading informational texts. Narratives provide ideal opportunities to sharpen these skills as well. After reading a short story, lead a discussion outlining narrative elements: character, plot, setting, conflict and theme. Have the class work in groups to re-read the story and identify as many examples of these narrative elements as possible. Encourage questions, and provide guidance when necessary. For example, suggest that students identify what a character wants, compared to how that character changes at the end of the story -- or what is learned at the end of the story -- to determine the theme. Afterward, have the class discuss what it was like to read a story while looking for specific elements. 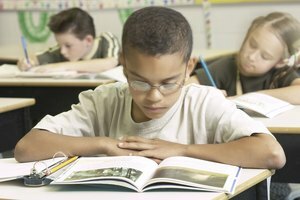 Fourth-graders also need to understand the importance of questioning what they read, questioning's relationship to critical reading and to comprehension. Hand out passages from a scientific text in an area you're studying, but use an article that is slightly above their grade level, and jargon-heavy. As students read, have them circle or underline every phrase that they don't fully understand. Afterward, ask students to share what they marked, and ask them if -- under normal circumstances -- they would have continued reading without seeking clarification. Explain that questioning new or difficult material is more than an act of humility, it is how critical readers navigate a text to make sure they understand. Time 4 Learning: Fourth Grade Reading Program - What are the Standards and Curriculum? Cascio, Christopher. 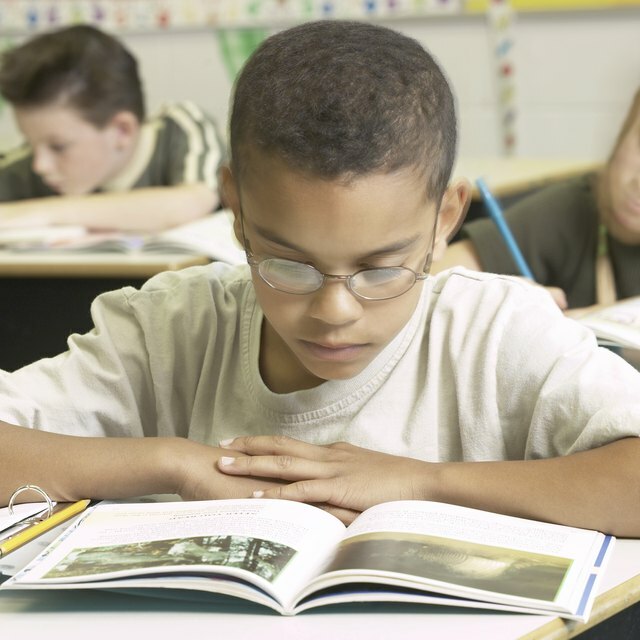 "Teaching Critical Reading Skills to Grade 4." Synonym, https://classroom.synonym.com/teaching-critical-reading-skills-grade-4-38520.html. 26 September 2017.